Council has undertaken a review of Council's heritage inventory of properties as listed in Schedule 5 of Blue Mountains Local Environmental Plan 2015. Stage 1 preliminary consultation was carried out between November 2016 and May 2017. The preliminary consultation included consultation with the Gundungurra ILUA Consultative Committee regarding lands listed under Schedule G of the Indigenous Land Use Agreement (ILUA). Over 100 submissions were received during Stage 1 preliminary consultation. The results of the preliminary consultation were presented to Council on 19 September 2017. The details are available on Council's website at here. Following the 19 September Council meeting, Council resolved to send the draft Planning Proposal to the Department of Planning and Environment seeking a Gateway Determination for Stage 2 formal public exhibition of the proposed changes. The Gateway Determination has been issued, and Council is now proceeding with the Stage 2 formal public exhibition. The information presented to the 19 September 2017 Council meeting forms the basis for the Stage 2 public exhibition material as follows outlined below. Note: the information is organised in the folders at the right hand side of the page are arranged in order of enclosure to the Council report. 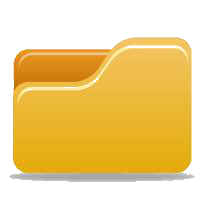 All documents can be found in the document library. Table of Contents: This is contained under "Supporting heritage mapping and heritage inventory sheets"and provides a list of properties included in the heritage review, organised by village. Once you find a property address, you will find the heritage ID number for the property. This is needed to search further content. Proposed New Heritage Items: Documents for each proposed new heritage item are organised by heritage ID number. Heritage inventory sheets and heritage maps are provided for each item. Existing Heritage Items proposed to be modified: Documents for each heritage item proposed to be changed are organised by heritage ID number. The heritage inventory sheet is provided, and heritage maps are provided where a change to mapping is proposed. Existing Heritage Items proposed to be deleted: Documents for each heritage item proposed to be deleted are organised by heritage ID number. The heritage inventory sheet for each item is provided.